Bombard your opponent with ballistic weapons overwhelming their point defense systems, keep them busy with fighter strikes while powering up your spinal mount lasers or out maneuver your enemies attacks while preparing a devastating alpha strike! All this and more await you in Alpha Strike! 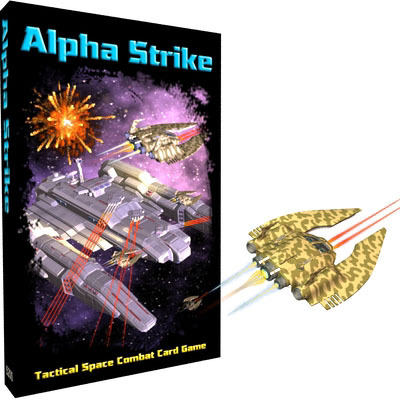 Alpha Strike comes complete with everything needed to play including starship control panels, a Combat Deck, Markers, and rules for two player duels and multi-player battles.